When you mention wrestling to the average person, you will get several responses. 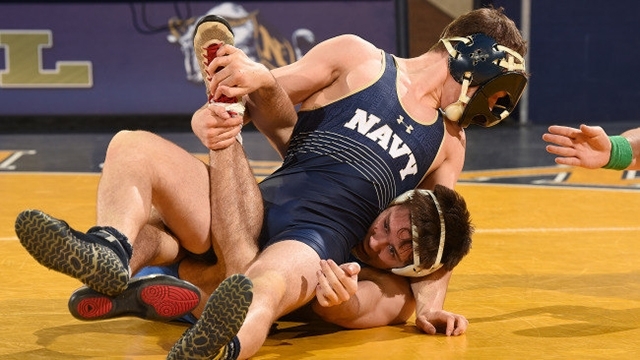 Most have something to do with the insecurities involved in men grabbing other men or being seen in the uniform of competitive wrestlers, the singlet. On the other hand, people who know wrestlers, usually have something complimentary to say, a result of what they observed in that person during their time in the sport. Though they might remember an issue with the person attempting to wrestle at a certain weight, they also remember how hard the person worked. How and why should you add that kind of work into your fitness plan? There aren’t many sports that will leave you so flat out exhausted in such a short period as wrestling. Wrestling requires a high level of anaerobic fitness. Not many sports have the constant quick twitch movement against high resistance that wrestling does. Harvard Medical School estimates that an 185-pound subject would use 266 calories in a 30-minute practice. After your first practice, you will be very aware that wrestling uses a large number of muscles throughout your musculoskeletal system. The high level of activity combined with the variety of motion is precisely the variegated training the body needs to lose weight and avoid exercise burnout. In a relatively short period, your body will respond, and the fitness won’t be the issue. Wrestling is like dancing, only someone is trying to beat the tar out of you while you are doing it. Wrestling involves an incredible array of mechanical movements, designed to allow you to take advantage of your opponent. Attacks and defenses are myriad and are learned over the course of a lifetime of practices. The learning starts from the moment you shake hands. Just your body position alone is a priority and has to be learned. If miles and miles on a treadmill give you chills, wrestling will never be like that. The constant assessing of position and how you work toward gaining advantage keep your mind present. Even at its most elemental, instinctive level, you are always searching, assessing, and evaluating your position versus your opponents. Practices do involve repetitive motions as you build muscle memory, but the act of seeking perfection of movement keeps you uniquely involved. Drilling is what it sounds. Repetitively performing techniques to reach the level where it is instinctive. 10,000 times is the goal many quote. Drilling in wrestling is best accomplished with a partner, and this is what makes if great. Nobody in the world is like your wrestling partner. Who you practice with determines the level which you train. The best case is a symbiotic relationship of equals, each at a similar level with a desire to improve. Drilling together involves a simple but complicated movement from slow, simple motions toward high intensity, full contact actions. If you can, develop a group of three or four equals who can work out together. Wrestling is full contact, you will get hurt somehow, you will need a break. Three or more will make the work go smoother. Three or more will also make it more fun, as you learn and grow together through controlled competition. Competition is not the result of this. Your drilling is where you test yourself. Wrestling does have some off the mat results. You will have all the benefits of any high-level physical training. Additionally, you are learning self-defense tactics. Wrestling is well-known as a way of fighting in close quarters. Modern MMA shows how important the ability to wrestle is in any physical interaction. So find an MMA gym near you and take a class to become part of man’s oldest and greatest sport.